There is nothing better than a peanut butter pie! This classic peanut butter silk pie is a restaurant favourite of many and now you can make it at home – and it’s even better homemade! This Classic No-Bake Peanut Butter Silk Pie is literally the best pie I have eaten this year. Dudes. I can’t even pretend that in real life I write cookbooks and am suppose to be all food prosy and wax poetic while writing about food- I have got nothing to write except for EAT THIS FREAKING PIE NOW. 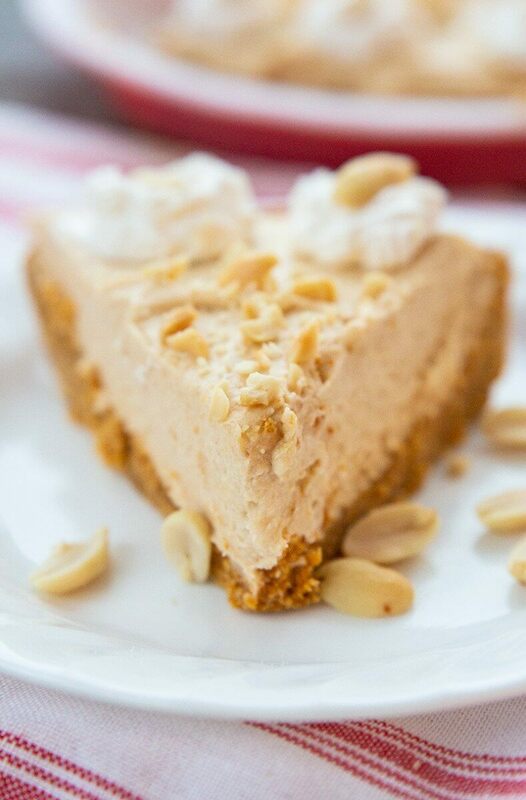 I’m not going to lie, I could eat the filling of this peanut butter pie with a spoon and forget alllll about the crust if I was pressed for time and want to make a seriously easy peanut butter pie. Crustless. However that salty, buttery graham wafer crust is the perfect foil to the sweet filling – remember to use salted butter! I do call this pie a no-bake pie as you can bake the crust but you don’t have to, and the entire peanut butter pie filling is no bake. What are the ingredients in Peanut Butter Pie? Graham Crumb Crust. This is the ONLY bake part of the pie and technically you don’t have to bake the crust. It will set slightly on it’s own, but I prefer it to be a little crunchy. This takes salted butter, brown sugar and graham cracker crumbs to make. Peanut Butter. Use a smooth peanut butter for peanut butter pie and one that is your favourite tasting. The better the peanut butter, the better the peanut butter pie! 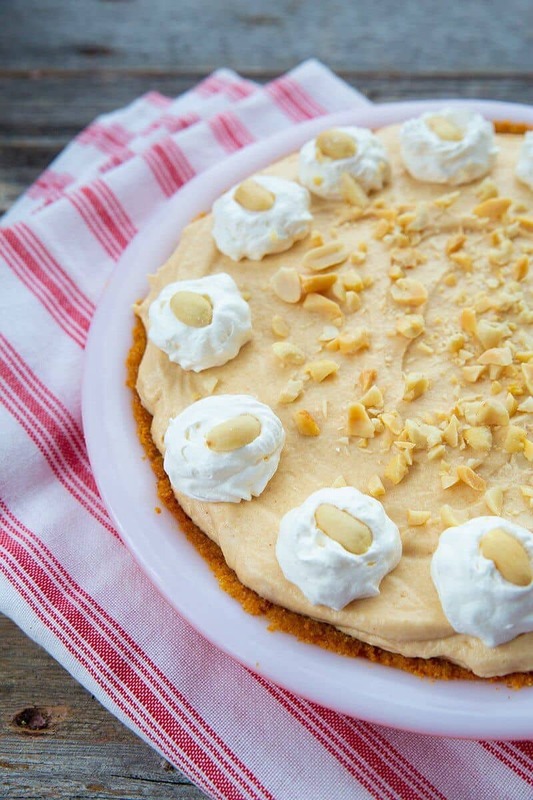 Cream Cheese : This is the peanut butter pie recipe with cream cheese! Confectioners Sugar – You want to use powdered or confectioners sugar in this pie so that you have a creamy, luxurious peanut butter filling. Granulated white sugar will make the filling gritty. Peanuts. Some salty roasted peanuts to top the pie are perfection! You can buy a pre-made graham wafer crust at the store to save time making the crust. If you want, you can also use Cool Whip in this recipe instead of making homemade whipped cream. You will want to use 3 cups of the whipped topping straight from the container as a substitute. Both are absolutely okay substitutions, but let me tell you, it’s better with the homemade whipping cream and crust! Ice Cream Peanut Butter Pie – This is even easier than this recipe! Take some ice cream and mix it in with the other ingredients, put it in a pie shell and freeze it! Peanut Butter Cup Pie Recipe – This is the cheater version of this peanut butter pie that has more cream cheese and has peanut butter cups. Amazing. You don’t have to have the following items that I list below for baking, but I own most of them and they make baking a lot easier! 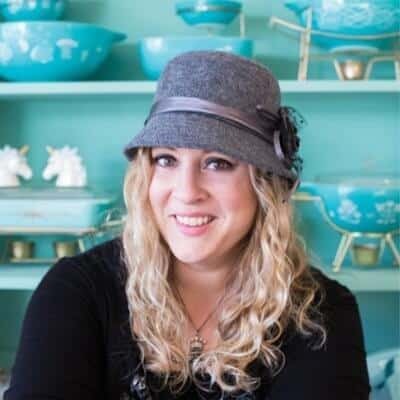 Stand Mixer -While you don’t have to have one, I love my stand mixer and use it daily! However if you don’t have room for one, see the next suggestion! Hand Mixer – A hand mixer with beaters can be all you need in your kitchen sometimes! If you don’t have space or a ton of money to invest in a kitchen appliance, buy a good quality hand mixer. Pie Plate– This peanut butter pie is an old one so you need a normal, (not deep dish) 9 inch pie plate. If you are a serious cook, I suggest a 9 inch pie plate, a 10 inch pie plate and a deep dish pie plate. 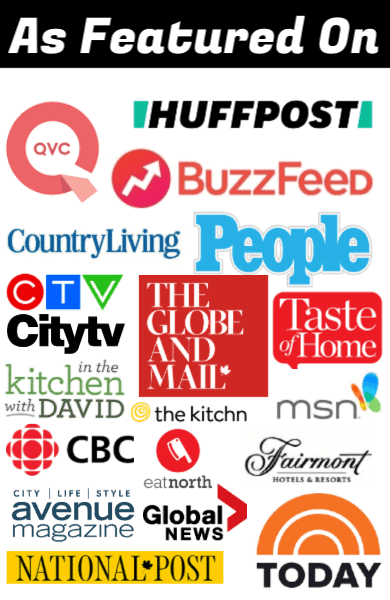 Those sizes cover almost all the recipes you are going to find online or in cookbooks. Spatulas – You need spatulas any time that you are working with whipped cream to properly scoop it out of the bowl, and any time that you are working with a creamy filling or ingredient. Dry Measuring Cups, Measuring Spoons, – These are a must have for measuring! Can I freeze peanut butter pie? 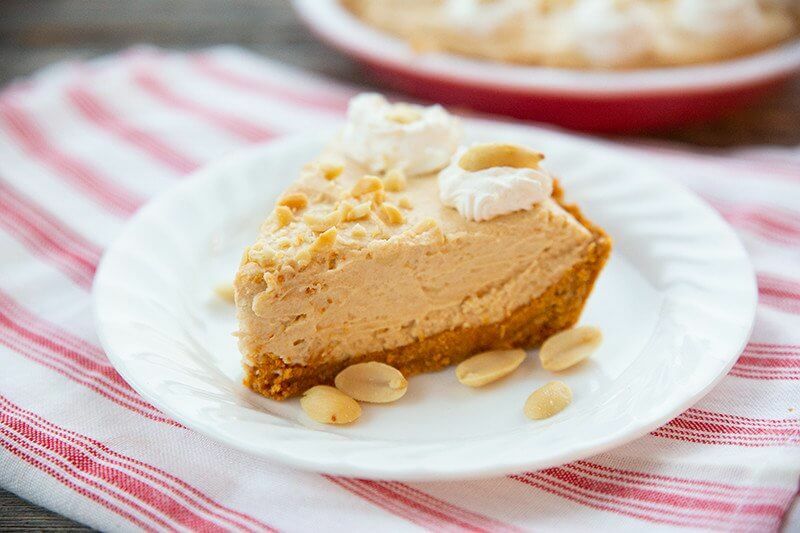 You can freeze this peanut butter pie so easily! Simply prepare the pie without the peanuts on top and flash freeze it on a baking sheet. Then once the top is frozen and won’t stick, cover entirely with plastic wrap. Wrap again in aluminum foil and freeze for up to 3 months. I am literally counting down until I can make this pie again, it’s been haunting my dreams…yah, I’m the kinda freak that dreams about peanut butter pie! 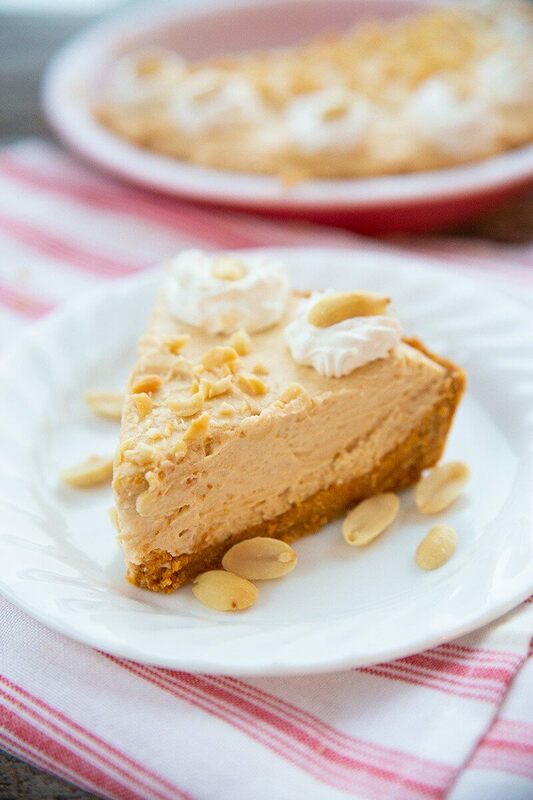 There is nothing better than a peanut butter pie! This classic peanut butter silk pie is a restaurant favourite of many and now you can make it at home - and it's even better homemade. 1 9 inch prepared graham cracker crust OR make homemade below! Combine the ingredients together in a medium sized bowl until the butter has worked through the crumbs completely. Press into a 9 inch pie plate. Use the bottom of a glass to press the crumbs into the bottom firmly, then press crumbs up the sides of the pie plate to form a crust. Bake in the preheated oven for 7 minutes. Remove and cool completely. In a large mixing bowl, using the paddle attachment on a stand mixer or a hand held mixer, beat the peanut butter and cream cheese together until combined completely. This is easier if you made sure that the cream cheese is very soft. Add in the confectioners sugar, beating until the entire mixture is light and fluffy and combined. In a separate medium sized bowl, beat together the whipping cream, white sugar and vanilla until it's light and forms peaks. Fold the whipping cream into the peanut butter mixture. I use the paddle attachment on the lowest speed and it works the whipping cream into the mixture slowly and perfectly, without losing much of the aeration. Scoop into the prepared pie shell. Smooth out the top of the filling. Cover and refrigerate for 3-4 hours. If wanted, top with extra whipped cream and crunchy peanuts right before serving, Slice and serve. Top this with peanuts right before serving or the peanut go soft. Could one use an oreo crust instead of graham cracker? Yup! It would work great! We love peanut butter recipes and this one is an easy one. No freezer time that’s great. Easy peasy. Thanks for the recipe.